Both playgrounds should be complete later this spring. Restaurant Eve chef/owner Cathal Armstrong said earlier this month that he has a preliminary agreement to open an Asian-focused restaurant there. Now...he could be joined by "Top Chef" alums Mike Isabella and Bryan Voltaggio along with Robert Wiedmaier, Philadelphia restaurateur Stephen Starr, Fiola phenom Fabio Trabocchi, Hank’s Oyster Bar’s Jamie Leeds, Jackie Greenbaum of Jackie’s and El Chucho, and the Hilton brothers. 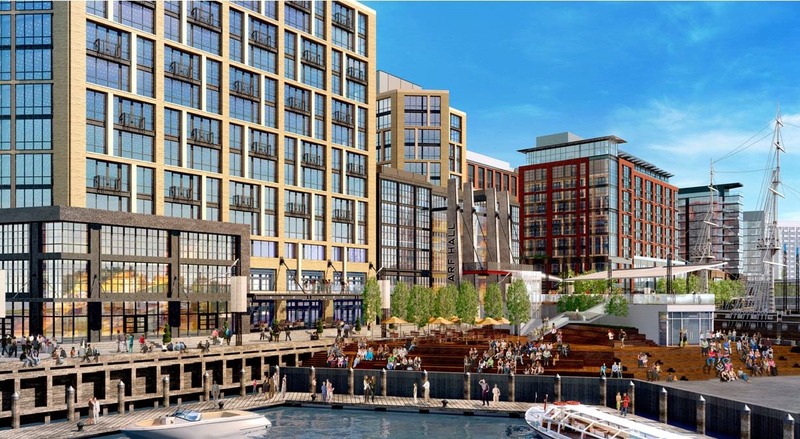 The first phase of The Wharf is scheduled to open in the fall of 2017. The group will be meeting at the vacant lot in front of Safeway at 10:45am and the clean-up lasts from 11am - 12:30pm, followed by a celebration at Cantina Marina. Supplies will be provided. Trash collected from the pick-up can dropped off at the rear parking lot of the View at Waterfront apartments at 6th and K streets. 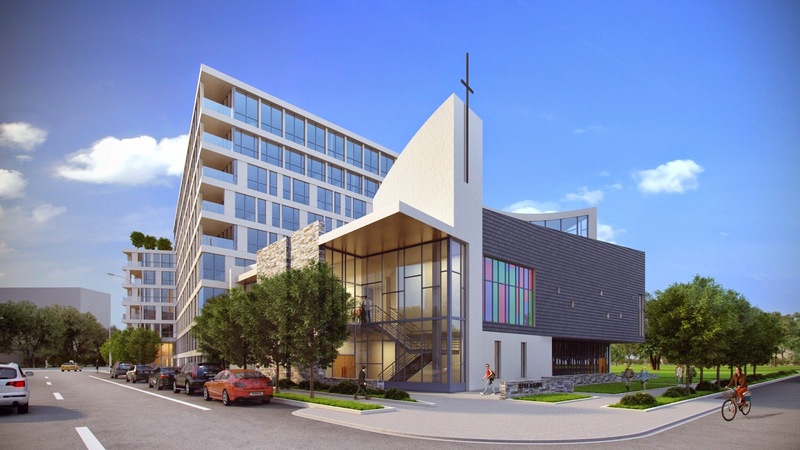 A PUD was filed earlier this month for the redevelopment of Riverside Baptist Church at 7th Street and Maine Avenue. Back in October, representatives from PN Hoffman presented their plans for the project, which includes a new sanctuary for Riverside facing Maine Avenue and a 7 to 9-story, 170-unit rental apartment building along 7th and I streets with ground floor retail. Approximately 14 of the units will be set aside for households earning up to 80% of Area Median Income. Not many changes have been made to the project since October. One change that may happen is the addition of four units and an indoor amenity space to the penthouse level. These changes assume that the Zoning Commission will adopt the recommended changes to the Height Act that allow for penthouses to be habitable. A hearing will be held later this year and if all goes well, construction will begin sometime in 2016 with completion in 2018. This is the second church in Southwest that PN Hoffman has partnered with to do a mixed use development. Construction is underway down the street at 6th and M streets on a new St. Augustine’s Church and 525 Water Street, a mixed income condominium building that will deliver in 2016. Neither of these projects are a part of The Wharf, although PN Hoffman is one of the developer partners for that project. Phillips Flagship occupies roughly where Parcel 2 will be built. An entertainment venue called Wharf Hall with capacity for up to 6,500 patrons, along with a co-generation plant and two mixed income apartment buildings (several with micro units), will replace Phillips Flagship. A Transit Pier will be built nearby to serve water taxis and can accommodate several roles, such as an ice skating rink in the winter and (with the addition of barges along its sides for seating) a stadium for the Washington Kastles, if they choose to return. 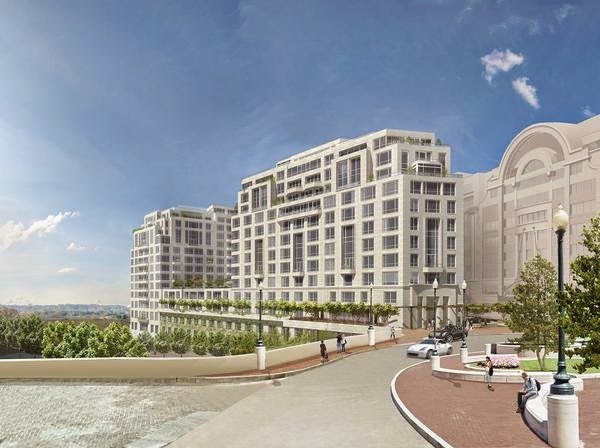 The Kastles played for three seasons at 9th and Water streets before moving to the Smith Center in Foggy Bottom last year to make way for construction of The Wharf. 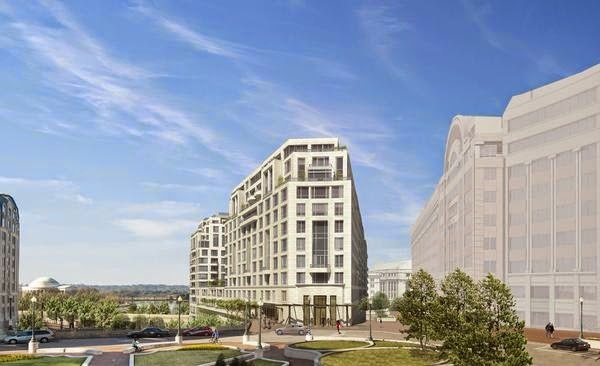 At one point last year, the team was looking to stay in Southwest and play at Waterfront Station on one of the vacant parcels facing M Street; however, the deal fell through. During their tenure at Kastles Stadium at The Wharf, the team won three straight Mylan World Team Tennis Championships and broke the record for the most consecutive wins by a U.S. professional sports team with 34 straight wins. The proposed transit pier location is less than a block away from the former stadium footprint. 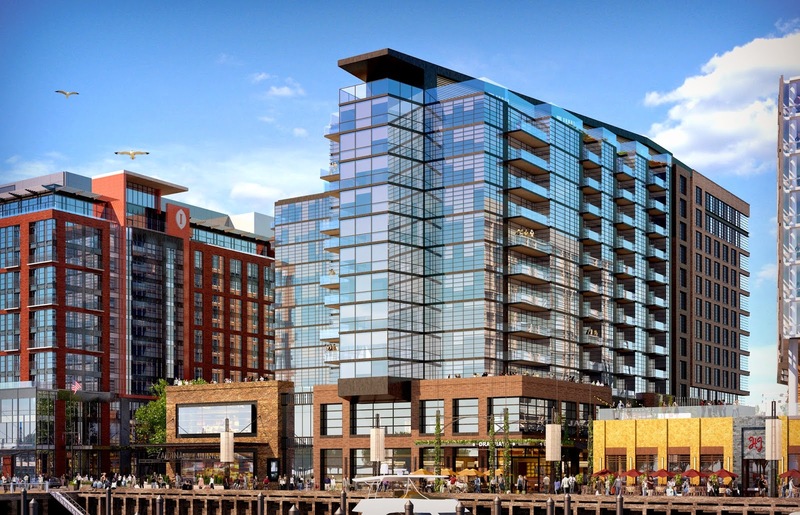 VIO includes amenities such as a private lobby on The Wharf’s Yacht Club Piazza with covered drop-off, 24-hour front desk, concierge services, clubroom, fitness center with yoga studio, and an outdoor infinity edge pool overlooking the Potomac River. Secure underground parking is included with the purchase of most residences. Select VIO residences feature private-access elevators that include direct access to the Wharf promenade, which will include an impressive mix of restaurants, bars, cafes, and other retail. The majority of residences at VIO feature balconies with water views and several penthouses include private rooftop terraces. Limited pre-sales will begin this spring and interested buyers can sign up on the project’s website for updates. The building is scheduled to deliver in the second half of 2017. Prices range from the $400,000s to over $1.5 million. A second condo building is under construction at 525 Water Street, across the street from Arena Stage that is further along than VIO. Construction has already reached street level and the project will deliver in 2016. I imagine that sales for 525 Water Street will be underway sometime in 2015 as well. Washington Global Public Charter School is a tuition-free middle school open to all students in Washington, DC. We will offer a robust international and research-based academic programming to develop globally competitive students who are ready for college and careers. Our program includes project-based learning, small learning communities, technology instruction, arts, and foreign language classes in Spanish and Chinese. We strive for all of our students to be healthy and active through our nutrition, physical education, and athletic programs. We will also serve as a community school that promotes local engagement and service-learning for our students. The first class of sixth and seventh grade students will begin classes in August. Students will be admitted though the MySchool DC Common Application and Lottery. At this evening’s ANC 6D meeting, Charlie Kehler and Kim Hoover from Altus Realty Partners presented plans for a proposed residential development at 1319 South Capitol Street. 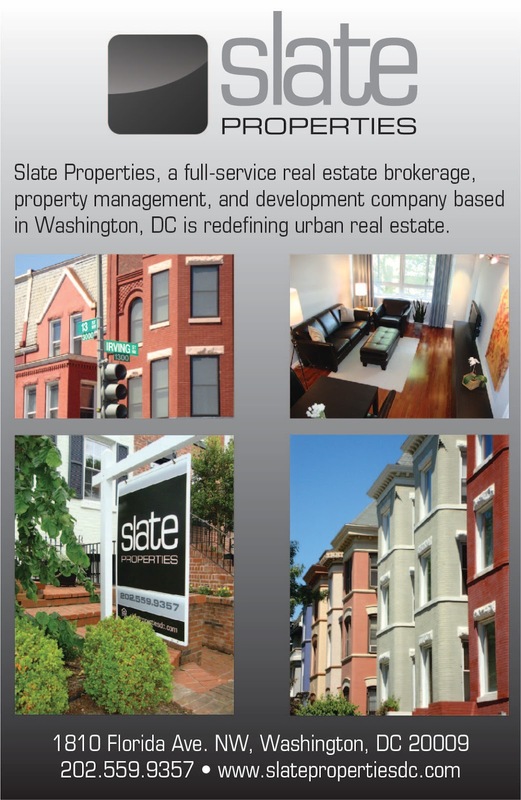 The site is located adjacent to Camden South Capitol apartments and across the street from Nationals Park. It was a little over a year ago the last time the developer came before the commissioners. At the time, the project was planned as a 260-270-unit building and Altus was negotiating with adjacent property owners to potentially increase the lot size. The current plan designed by PGN Architects calls for an 11-story, 140-200-unit multifamily building in an “L” shape that wraps around six rowhomes on South Capitol Street that will remain. About 16,000 gross SF of space will be set aside for affordable housing at 80% of Area Median Income (AMI).The main entrance to the building and retail space will be on South Capitol Street. Garage parking will be accessed through an alley on N Street; the two-level garage will have about 75 spaces. A partial closing of an alley will be needed for the project. Since this was just a presentation, Altus will be back before the ANC once the project is filed with the Zoning Commission since it is located in the Capitol Gateway Overlay and the alley closing request will need the support of the ANC. Capitol Park Tower has been upgraded in recent months following the purchase of the building from UIP and Perseus Realty. Units have been renovated with stainless steel appliances, new cabinets, subway tile backsplash, new bathroom fixtures, and USB ports in outlets, among other things. A photo gallery can be found here. Within the past month, new signage has appeared outside of the building and some of the common areas have been improved (the above photo is an older photo from 2012). A meeting was held last week with residents of Capitol Park Tower to discuss the next phase of improvements. The owners are planning an addition on the north and east sides of the property. Of the approximately 295 rental apartment units planned, 271 will be market-rate and the remaining 24 will be IZ units. @swchase24 Development Plan includes preserving key elements: concrete canopies, totem, terracotta walls, etc & recreating Kiley Landscape. Construction is expected to begin in November and would be completed by the end of 2017. Due to its status as a historic landmark, the plan will need to be approved by the Historic Preservation Review Board. More information will be forthcoming as this project goes through the approvals process. Back in late December, Mill Creek Residential Trust, the new owner of The View at Waterfront apartments at 6th and M streets, submitted a revised Planned Unit Development (PUD) application for construction of two new residential buildings on the parking lots fronting M and K streets. A PUD was approved several years ago when Fairfield Residential owned the property, but several changes have been made since then. Generally, Mill Creek has reduced the scope of the project. In the previously approved PUD, a total of 324 new units were planned, but the proposed changes reduce the number to about 260 units. Additionally, the height has been reduced from 112 feet to 85 feet. The Floor Area Ratio (FAR) has been reduced to 3.4 from 4.39 and the lot occupancy is proposed to be 42% compared to the previously approved 51%. Parking has been reduced significantly from 569 total spaces for all four buildings to 290 spaces in three levels of below-grade parking; however only 175 spaces are required under zoning. Each new building is comprised of two volumes. The first is a taller, lighter box that is supported by a tall recessed ground floor with exposed columns along the primary streets and corners; the second is a more subdued, lower mass that meets the ground plane and also is pulled back and tapered from the corners between the proposed and existing buildings along the street edge. The north tower will have seven stories, including a mezzanine on the top floor and the south tower will have six stories, including mezzanines on the ground and top floors. A two-story retail space is still planned for the new south tower at the corner of 6th and M streets facing Arena Stage, but has been reduced from 8,900 SF to 5,200 SF. One thing that hasn’t changed is the amount of space set aside for affordable units. There will still be 6,500 SF of affordable housing evenly distributed on floors 2-5 of both new buildings, in addition to the 9,500 SF of affordable housing that currently exists in the I.M. Pei buildings. Each of the new towers will have amenity spaces within the buildings, as well as “vest pocket parks” between the proposed and existing buildings designed by Land Design. The “vest pocket parks” will contain amenities that can be used year round throughout the day and night. Some of the planned amenities include lawn panels, flexible seating, grilling areas, outdoor fireplaces, and water elements, each designed in “rooms” with heavy landscaping. The south tower will have a two-level lobby and amenity space, as well as loft units with mezzanines while the north tower will have a two-level lobby and amenity space. 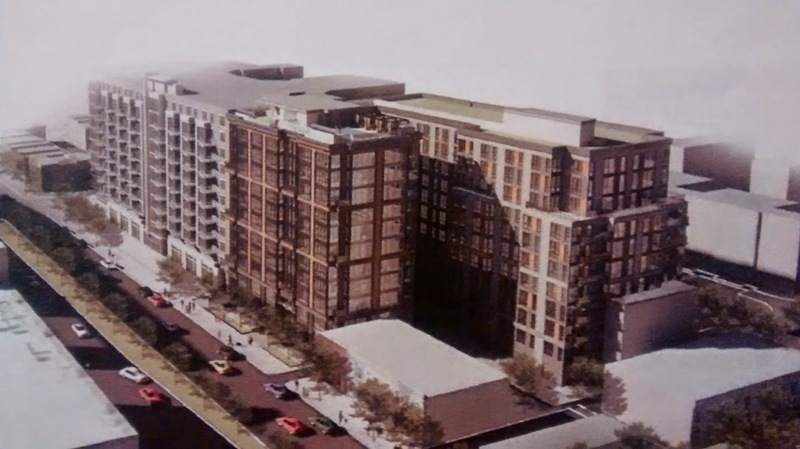 The developers will go before ANC 6D later this year to seek their support before meeting with the Zoning Commission. If approved, Mill Creek would like to start construction in 2016.